Homer regains all of his health by eating donuts. Attack 2 : Why you little! 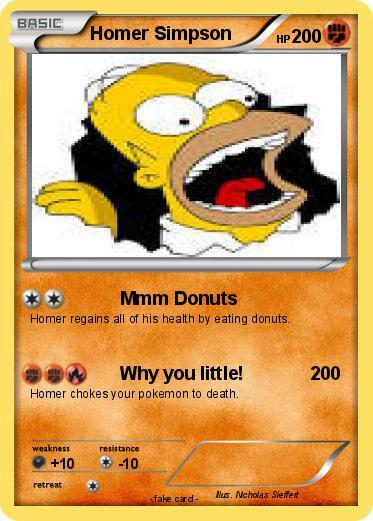 Homer chokes your pokemon to death.